Santa Claus is a man who brings presents to good girls and boys at Christmas. At the Springfield Elementary School's Christmas pageant they had a act with Santas of many lands. 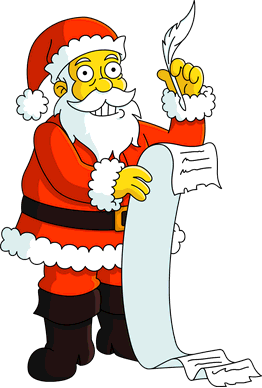 Marge took Bart and Lisa's list of presents to post them to Santa's workshop at the North Pole. Bart told her that there's one fat guy that brings us presents and his name ain't Santa. When Marge looked at Lisa's list, she told her that she kept telling her that Santa can't fit a pony in his sleigh. Meanwhile, Ned Flanders was placing a Santa at the top of his roof. Barney told Homer that he got a part time job working as a Santa down at the mall. Homer asked if he can also do that and he could and did after ha was at the Santa School. When Homer later worked Milhouse was dared by Bart to yank Santa's beard off, which he did and found out that Homer was Santa. Bart dreamed that he stole Santa Claus' sleigh, complete with presents, when he aimed a gun at Santa at the North Pole. Kent Brockman once reported that Americans have grown up with the image of the jolly fat man, citing Dom DeLuise, Alfred Hitchcock and Santa Claus. Upon mentioning Claus, he showed a dramatization of Santa in the hospital and dying, saying that in real life Santa would suffer from gallstones, hypertension, impotence and diabetes. When Homer made a large donation to Costington's (to make up for his ill-gotten gains from serving as Mr. Burns's "prank monkey"), he was invited to play the part of Santa Claus in the store's Thanksgiving Day parade. Homer messed up his line, yelling "Merry everyone!" to the crowd instead of "Merry Christmas! ", and Burns tried to persuade him to use the occasion to play a prank on the whole town (offering Homer a million dollars to throw fish guts to the crowd instead of presents). Homer was torn between the money and the fact that "Santa can't be evil! ", but in the end he stood firm and refused to go along with the prank. On Channel 6 News, Kent Brockman announced that Santa Claus was dead. He then explained that Santa may as well be dead as Homer was doing a better job than Santa. In a commercial for a book called The Answer, it says Santa Claus was one of the few people to have read the answer. When Edna Krabappel looks out the window in to the school playground, Santa is there, it is unknown whether this is just her imagination or if he really was there. In another dream from Homer Simpson, Homer dreamed that he was playing baseball. 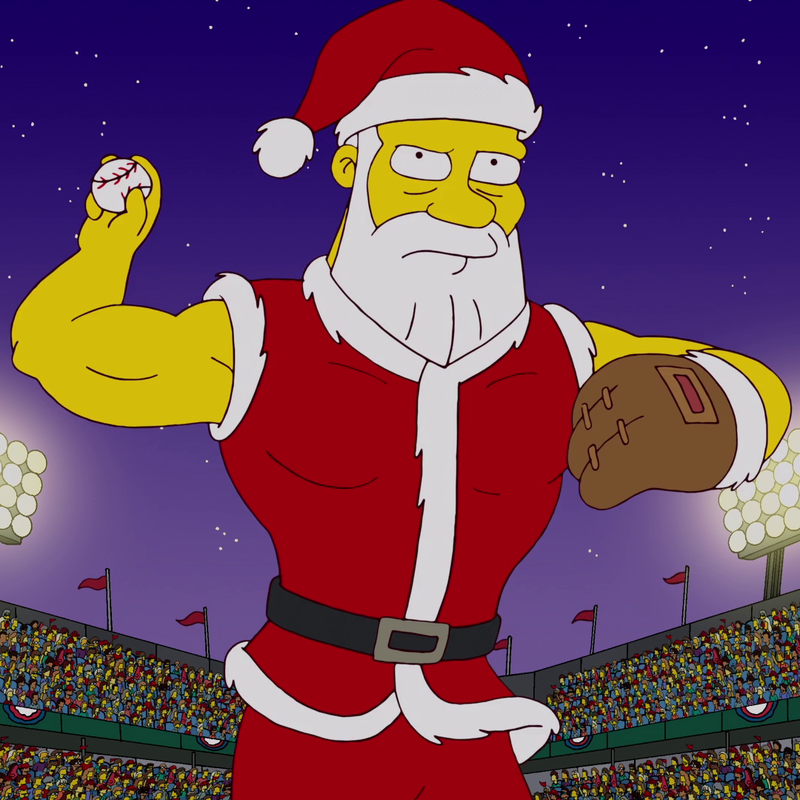 Steroid Santa Claus pitched the ball to him and Homer broke the sky with his swing. 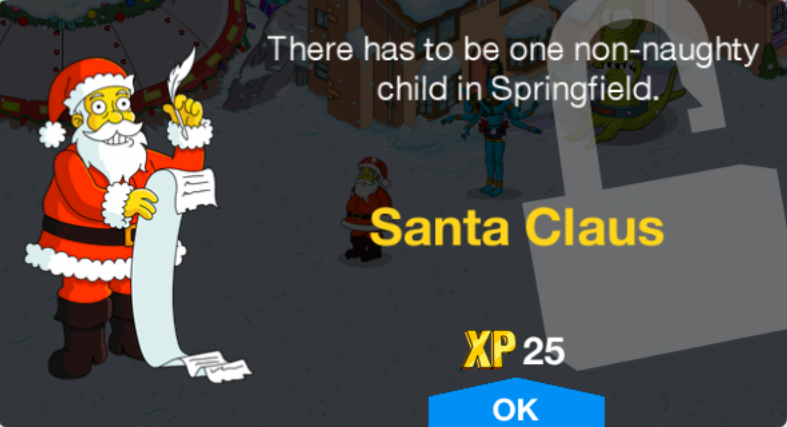 A model of Santa Claus was seen on a house opposite the Simpsons' house. Homer imagined the model turning into a monkey. Rachel Maddow mentioned to Kent Brockman that the only news he reports is stuff like Santa Claus' route across the world. Santa appeared in a commercial for Sprawl-Mart where he smashed a Pagan over the head with a TV. Marge also bought a Dancing Santa and watched a MyTube video from Monica on how to set it up. She accidentally set it to Norwegian. 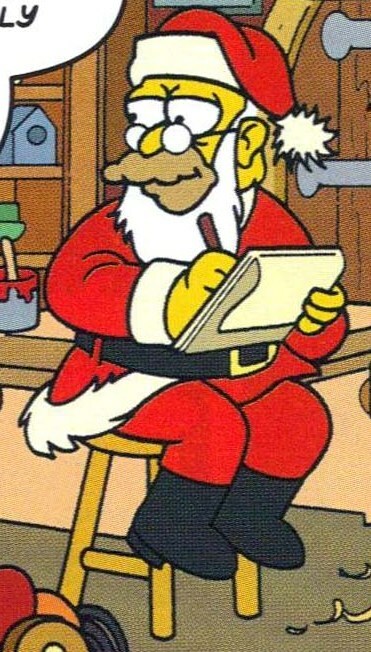 Abraham Simpson as Santa Claus. Near the end of World War II, Abe Simpson and Monty Burns were stranded on a deserted island. On Christmas Eve, Santa flew over the island and Burns thought it was a German, so he shot it down. Feeling sorry for what they did, they help Santa by fixing his sleigh and gather his reindeer (but couldn't find Rudolph and Prancer). When they were all ready, Santa was about to take off, then Burns hit him on the head with a coconut, stole his sleigh, and made all the presents his. Abe found Prancer, got on him, and took off to get Burns. Abe caught up with him and beat him up with a tricycle. He returned the sleigh back to Santa and promised after he was done delivering presents, he'll come back and take him home, but never came back. Because of that, Grampa wanted to get back and kill Santa. But on one Christmas Eve night, Santa gave him his dead brother's lucky watch. Santa told Grampa that his brother Cyrus survived and crashed in Tahiti, his brother loved being there so much (because of his 50 wives) he stayed. Santa took him to see his brother and they had a nice vacation there. While there Santa told him he didn't save Grampa because he was always putting it off and in the end, he was just to embarrassed to go. He also was in his office in the North Pole in Bart's dream. Here, he pretended that he was poor so Bart would leave feeling sorry for Santa. 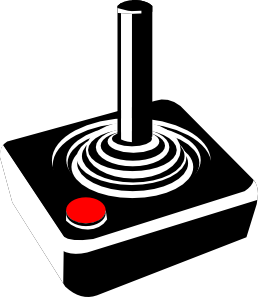 He then pressed a button to change his office into a disco-like room. 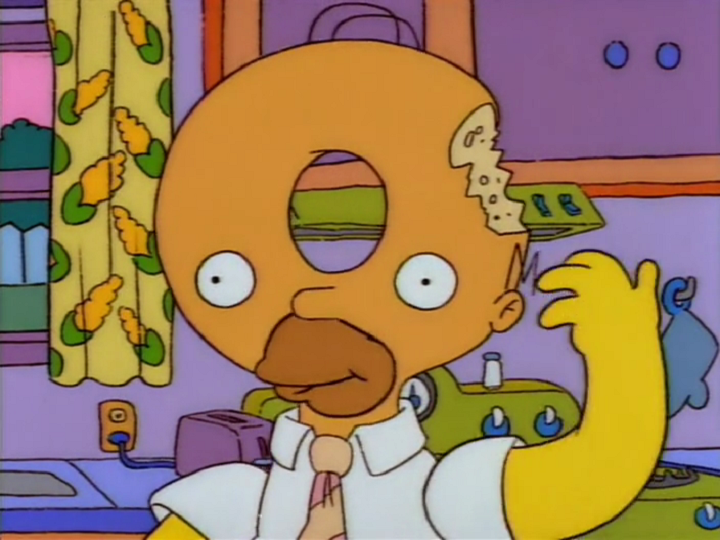 He was portrayed by Krusty in the dream. In Abraham Simpson's stories about the origins of Christmas traditions, when Santa Claus appears as a character, Abe casts himself in the role of Santa. Santa (along with a Christmas angel and the Grim Reaper) was once seen being chased away from a Christmas party at Burns' manor by the Hounds. ↑ "The Nightmare After Krustmas"
Modified on December 10, 2018, at 13:28.